This article was originally published in the Turkey Analyst, a publication of the Central Asia-Caucasus Institute and Silk Road Studies Program Center on 9 October, 2015. BACKGROUND: Whether in Ottoman times or in the Republican era, the Turkish state has made control of religious affairs a priority. In Ottoman times, this function was fulfilled by the Ulema under the leadership of the Sheikh ul-Islam, himself appointed by the Sultan. Following the creation of the Republic, the Diyanet Işleri Başkanlığı, or Directorate for Religious Affairs, fulfilled this role. Diyanet was created in order to maintain control over the religious sphere of Islam. All imams in every mosque across Turkey were appointed by Diyanet, which wrote their Friday sermons. Diyanet was a key institution of the Republic: it helped legitimize the modernization and westernization of Turkey from a religious perspective, and prevented the mosque from becoming a central focus point for reactionary activity. In this, it largely succeeded; and it is no coincidence that it is considered among the three key institutions of the republican era, together with the Army and the Ministry of Education. The setup did not lack problems. Diyanet caters only to the Muslim population; but it was indifferent to the diversity of Turkish Islam. The republic sought to streamline individuals into a national identity that included, as a cultural marker and increasingly so over time, mainstream Hanafi Sunni Islam. But Turkey also has about 15 million Alevis, perhaps three million Shi’a, and over a million Nusayris. And then, 12-15 million Kurds follow the Shafi’i and not the Hanafi school. In all, a third to two fifths of the population is not Hanafi Sunni, a reality Diyanet ignores. In Alevi villages, imams in Diyanet-built mosques have no work aside from issuing the call for prayers that no one attends. Like many of Turkey’s powerful state institutions, Diyanet constituted a check on political Islam as long as the state was controlled by the republican establishment. But once the state came under the control of political Islam, it became a handy tool for the propagation of this ideology. Under the AKP, Diyanet has grown exponentially. In less than a decade, its budget has quadrupled to over $2 billion, and it employs over 120,000 people, making it one of Turkey’s largest state institutions – bigger than the Ministry of Interior. But Diyanet’s character has also changed. Previously, a solid proportion of its personnel were regular government bureaucrats, not persons with Islamic education. In recent years, however, the makeup of its staff has taken on a more Islamic character. The use of Diyanet as a political instrument is fairly recent, dating to 2010-11. 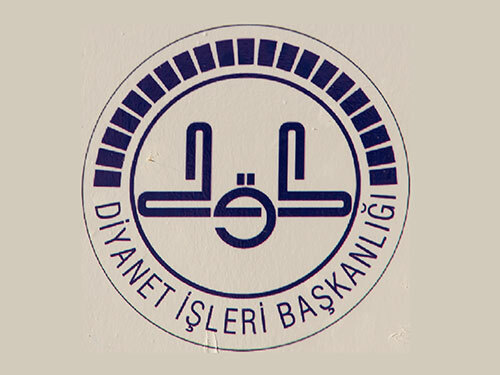 Until late 2010, Diyanet was led by a Chairman, Ali Bardakoğlu, appointed by secularist president Ahmet Necdet Sezer. Under Bardakoğlu’s tenure, the Diyanet largely stayed out of politics. In 2010, during the course of reforms that ended bans on the Islamic headscarf, Prime Minister Erdoğan suggested that the Diyanet be consulted. In response, Bardakoğlu responded that “consulting the Diyanet on legislation is counter to the principle of secularism”. He also refused to recommend Muslim women to wear the headscarf, emphasizing that it is not a formal requirement of the religion. Bardakoğlu was fired shortly thereafter, and replaced by Mehmet Görmez, who has been considerably more pliant toward the AKP leadership’s wishes. IMPLICATIONS: As the size of Diyanet grew, so did its societal role. In 2011, Diyanet began issuing halal certificates for food products; the next year, it opened a television station. Diyanet also produces fatwas on demand: a free telephone hotline service that provides Islamic guidance on everyday matters – what one analyst said “encourages callers to harmonize their daily lives with the principles of Islam”. Diyanet made international headlines in 2015 when it determined that contrary to popular belief, toilet paper is not prohibited by Islam. The number of fatwas being issued is rising rapidly: only in the past year, Diyanet has found that feeding dogs at home, celebrating the western New Year, lotteries, and tattoos are all prohibited in Islam. Legally speaking, the Diyanet’s rulings carry no weight, and following them is entirely voluntary. But it is unprecedented and incongruent for a state agency in a secular state to provide religious sanction of day-to-day behavior. The consequences of these reforms will be visible only in time. But seen against the background of the larger reforms in the education sector, it is clear that they will make the likelihood of radicalization among sections of the population considerably more likely. These reforms have been paralleled by a much greater visibility of Diyanet in the public debate. Görmez has proven happy to address current affairs, and has invariably tacked close to the AKP line. Diyanet press releases have supported the introduction of greater Islamic themes in public education, and Görmez found it appropriate to warn the visiting Pope of the “rising Islamophobia” in Europe. In 2015, he publicly called the Pope “immoral” over his stance on the Armenian genocide. Görmez also weighed in on the Hagia Sophia mosque, which was turned into a museum in the early years of the republic – stating that “Hagia Sophia is not a church, not a museum, but the sanctuary of Mehmet the Conqueror and all Muslims”. He has also called for the “liberation of the Al-Aqsa Mosque” and said that there is “no difference between Israel and ISIS” in terms of the religious doctrines that led to the creation of their respective state entities. Diyanet has also, more carefully, inserted itself into Turkish politics. A March 2014 sermon cabled out to thousands of mosques across Turkey – shortly before the local elections in April – provided implicit support for the Twitter and Youtube bans that the AKP imposed. And the day before the 2015 parliamentary election, a number of imams urged their flock not to vote for “certain parties” but for “Muslims”. A further matter regarding the Diyanet should be noted: the gradual growth in the influence of non-traditional ideological currents, in the form of both the Naqshbandi-Khalidi order and, related to that, Salafi-inspired ideas. The role of the Naqshbandi order should come as no surprise: given the paramount role of the Naqshbandi-Khalidi orders in the Islamist movement, Diyanet was bound to be a place where these orders sought to develop their influence. Already in the 1950s, the void in trained imams was being filled by the Süleymancı movement, a Khalidi offshoot, which kept Qur’anic education alive during the ‘prohibition’ period. The Khalidi orders’ influence on imam-hatip schools and theological faculties has also affect Diyanet, which recruits heavily from these institutions. In 2010, Hasan Kamil Yılmaz, the chairman of the Naqshbandi-aligned Aziz Mahmut Hüdayi Foundation, was appointed deputy chairman of Diyanet. CONCLUSIONS: In recent years, Turkey has acquired a directorate of religious affairs that comments on political affairs, advises citizens on religiously acceptable conduct, and is embarking on a major effort to spread Qur’anic education to the earliest ages, and to all corners of society. The rhetoric of the Diyanet often paints itself as a bulwark against radicalism; but the Diyanet’s own theology slowly and gradually appears to be infiltrated by Islamist ideology with roots in the Middle East. Given the influence that the Diyanet-controlled mosques have on the conservative masses across Turkey, this development is both among the most consequential, and among the most unknown, accomplishments of the AKP. Svante E. Cornell is Director of the Central Asia-Caucasus Institute & Silk Road Studies Program Joint Center, and Publisher of the Turkey Analyst. This article draws on the author’s contribution to a Bipartisan Policy Center study on Turkey’s domestic evolution, to be released in October 2015, co-authored with Amb. Eric Edelman, Halil Karaveli, Aaron Lobel and Blaise Misztal.